Luxor International Airport is frequented by many charter airlines, as it is a popular tourist destination for those visiting the River Nile and the Valley of the Kings. Central to the most important archaeological place in the world, Luxor Airport has been developed several times. Luxor Airport receives more than one million passengers per year from different nationalities. Luxor International Airport (IATA code: LXR) is the main airport serving the Egyptian city, Luxor, which is also known as the “world’s greatest open-air museum”. Flights to Luxor International Airport are provided by international airlines such as Etihad Airways, Ethiopian Airways and South African Airways. LXR is a 20-minute drive from the city centre of Luxor. Book your cheap flights to and from Luxor International Airport online! Luxor International Airport is the gateway to the ancient city of Luxor. Owing to its location, Luxor International Airport has undergone several developments over the years. Luxor International Airport services more than 70 airlines of different nationalities. There are currently over a million passengers passing through Luxor International Airport’s doors. Luxor International Airport has a few food and drink options for airport patrons to devour. Enjoy amazing cuisine found at the restaurants and cafeterias at the airport. Shops at Luxor International Airport affords the bliss of duty-free shopping. Find gifts, perfumes, clothing, alcohol and tobacco at the various shops at Luxor International Airport. Luxor International Airport has a VIP lounge for airport passengers to enjoy before departing on their flight. Luxor International Airport has a range of facilities, including a pharmacy, a travel agency, a newsagent, business centre, baby/parent room, mosques and banking. This exquisite hotel has hosted royalty and boasts an amazing atmosphere. It is a 20-minute drive from Luxor International Airport. Amenities include Wi-Fi, parking, an outdoor heated pool, a bar and restaurant. This luxurious 4-star is set in a prime location in the centre of Luxor. It is a 13-minute drive from Luxor International Airport. Amenities include a restaurant, meeting rooms, a swimming pool and sun loungers. This 4-star hotel has amazing views of the Nile and it is a mere 16-minutes from Luxor International Airport. Amenities include ATMS, a swimming pool, shops, free parking and 3 restaurants. Luxor International Airport has car parking options available for all airport patrons. Luxor International Airport is located 6 km east of Luxor’s city centre. 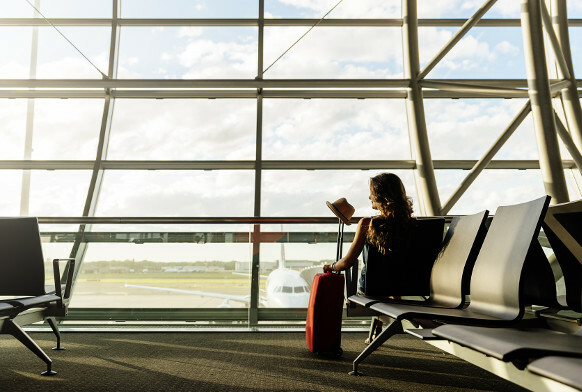 Metered taxis, airport shuttles and car hire options are available to transport you from the airport to your destination.